I hope this note finds you well. For those who have been following and participating in our mixed reality journey, welcome to our new home in the Dynamics 365 blog! For those new to us, on behalf of everyone who works on mixed reality business applications at Microsoft it is our pleasure to meet you. 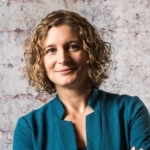 My name is Lorraine Bardeen, and I am the general manager of engineering for Mixed Reality Business Applications at Microsoft. I have the pleasure of working for James Phillips in the Business Applications Group and the privilege to lead a world-class team of engineers working to bring mixed reality to people and organizations across the globe. I have been working on the mixed reality business for over six years and I still show up at work every day excited to work with customers, partners and developers to innovate and solve real problems using mixed reality. With mixed reality, we can understand data in context and simplify workflows to extend human ability. When this happens workers feel more effective, businesses see more progress and everyone has a chance to participate in the modern workplace. Today marks an important day for all of us on the mixed reality business applications team. Today, we officially mark general availability of our first Dynamics 365 business applications: Dynamics 365 Remote Assist and Dynamics 365 Layout. 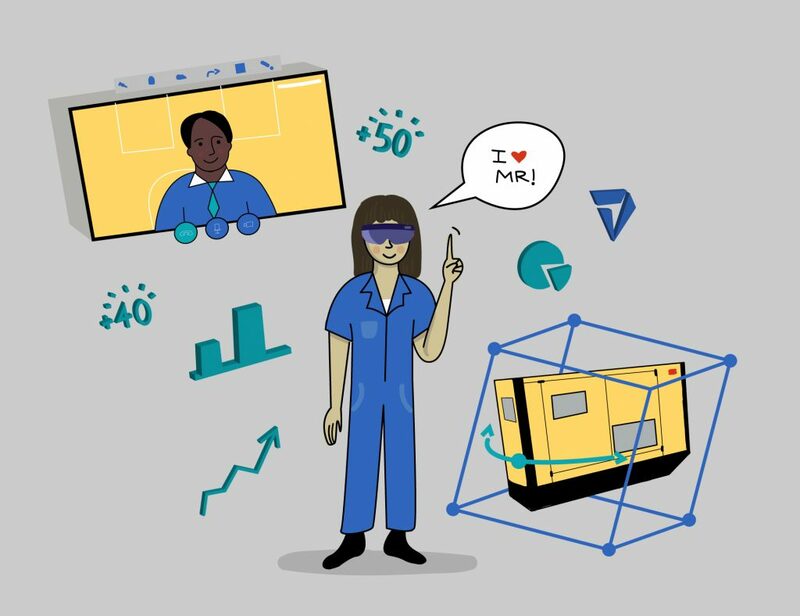 To celebrate this important milestone I wanted to write this post and share more about why mixed reality and Dynamics 365 have come together, what people can expect from these first mixed reality business applications, and how they are already being used and deployed. A couple of weeks ago I had the opportunity to speak to press and analysts in San Francisco about mixed reality business applications at Microsoft. As part of that moment in time, Alysa Taylor talked about our vision for business applications and I had the chance to talk specifically about mixed reality. In particular I talked about why mixed reality and Dynamics 365 have come together and I wanted to share some of that with you here as well. With Dynamics 365, customers are reimagining their business processes by leveraging modern, unified, intelligent and adaptable solutions that bring together the vast amounts of data across their organization to empower their employees with new tools to help them feel more effective at work. Factory and field service worker. Patient and provider. Storefront and supply chain. No silos — just customers, products, employees and data more closely connected than ever before. Mixed reality represents a totally new part of this solution because of the capabilities it provides. We recognize that these employees need information in context to apply their knowledge and craft. Not only on a 2-D screen — but information and data in context, at the right place, and at the right time, that they can use hands-free so employees can produce even greater impact for their organizations. We’ve focused on integrating these mixed reailty business applications with the common data service that underlies Dynamics 365 so that companies get the full value of high-value data connecting the full workflow. With today’s release of Dynamics 365 Remote Assist we are taking an important step forward in helping address some of the current, unmet needs of Firstline Workers. Firstline Workers represent more than 2 billion people in roles that make them the first points of contact between a company and the world it serves, between a company and its products. They are often the first to engage, the first to represent a company’s brand, the first on the scene to address a problem. With Dynamics 365 Remote Assist we can enable technicians and remote experts to solve problems in real time with heads-up, hands-free video calling, annotations, and file sharing. By identifying and addressing issues accurately we can also eliminate the need for costly travel expenses while improving operational efficiency. Organizations will be able to communicate securely with industry-leading identity and security measures, including Azure Active Directory. In addition, they will be able to leverage work order data from Dynamics 365 Field Service on-site using the common data service. For business decision-makers looking for new ways to empower their employees and create more collaborative ways of problem-solving, this is pretty exciting stuff! But enough talking about it — here is Microsoft Dynamics 365 Remote Assist in action. Lastly, with today’s release of Dynamics 365 Layout we are now providing our customers and partners with a way to visualize room layouts in real-world scale. The ability to walk through proposed layouts in physical space or virtual reality. Review and make changes with stakeholders in real time, saving time and money. Move, resize and rotate 3-D models to edit layouts on the spot. Here is a peek at Dynamics 365 Layout in action. About four months ago we released the public preview of our two mixed reality business applications. During that time, we had the chance to work with and learn from many great companies, and I wanted to take a moment to spotlight a couple of them here. A great way to see Remote Assist and Layout in action is through the work of ZF Group, a German car-parts manufacturer headquartered in Friedrichshafen. An early partner on our journey, ZF Group has been working with us over the past few months to help ensure these apps, even in preview, are crafted with insights from those who will be using them daily to get their work done. In developing these apps with customers, we are not only looking to make great software — we’re looking to empower the Firstline Workers using the apps. Learn more about how ZF Group uses Microsoft mixed reality tools. Chevron is already achieving real, measurable results with its global HoloLens deployment. Previously it was required to fly in an inspector from Houston to a facility in Singapore once a month to inspect equipment. Now it has in-time inspection using Dynamics 365 Remote Assist and can identify issues or provide approvals immediately. In addition, remote collaboration and assistance have helped the company operate more safely in a better work environment, serving as a connection point between firstline workers and remote experts, as well as cutting down on travel and eliminating risks associated with employee travel. Learn how Chevron is deploying Microsoft Dynamics 365 Remote Assist and Microsoft HoloLens. This is just the beginning! We will have a lot more to share in the months ahead, and I am looking forward to sharing more then. As always, I’m available on Twitter (@lorrainebardeen) and eager to hear about what you’re doing with mixed reality.